If you were planning on waking up at the crack of dawn on May 19 to catch Meghan Markle and Prince Harry's royal wedding (and why wouldn't you?) there's good news for sleepy heads. Fathom Events and BritBox, the subscription service from BBC Studios and ITV, are partnering for Harry & Meghan: The Royal Wedding, a commercial-free presentation of the royal wedding that will screen in nearly 200 theaters across the U.S. on May 19. The broadcast of the ceremony will be captured live from Windsor Castle in England and will screen in theaters at 10 a.m. local time. You can even reserve your tickets here for theater screenings at Park Place 16 in Pinellas and Citrus Park 20 in Tampa. If you wanted to catch the coverage live, you'd be waking up at 6:30 a.m. to watch the parade of hats before the noon wedding, which would start at 7 a..m. for us on Eastern Standard Time. In case you wonder why some of us are planning to wake up at dawn, remember the amaze-balls hats worn by Prince Andrew's daughters? 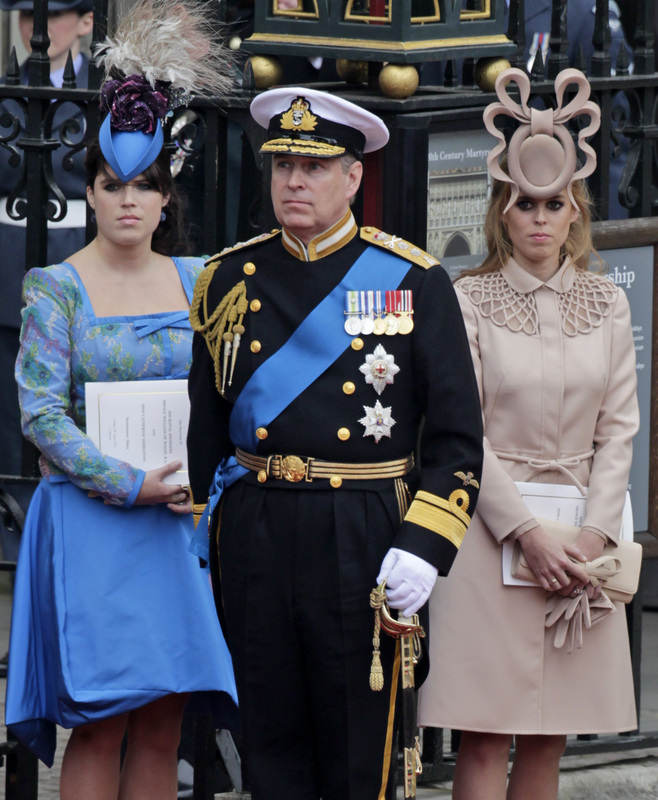 Check out Princess Eugenie, left, and her older sister Princess Beatrice, who seems to have stuck a pretzel on her head. This marks the first time ever that a royal wedding will be screened in movie theaters the day of the event.